"It's like a costume party for cupcakes," says a caterer from Calif. "Cupcake Cuties" turn ordinary cupcakes into an amazing display. It's a great way to ramp up the fun-factor without breaking the bank." You don't even have to be a Pastry Chef to have success with Cupcake Cuties. 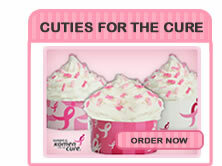 "It's so easy – you just wrap the cupcake, top it and go," explains Dee Dee from Minnesota . "It's perfect for busy people." "We made the cupcakes yesterday for our party!" says Vicki from Kansas "They were totally fun to make and super easy....just as you said!" "We also love that each kit included all the ingredients that we needed!!" 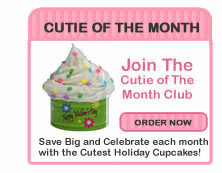 "I heard about your Cupcake Kits from a friend and used them for my son's birthday party. They were a huge hit at the party!" recalls Jenny of New York . "They were so easy to use and really dressed up the table, the way they went with his animal theme." Michele of Orange County, California streamlined the process further. Rather than bake them herself, she purchased cupcakes at a local bakery. "I will definitely be ordering more Cupcake Cuties and telling everyone at work, friends at home, and my relatives about your products!" she adds. 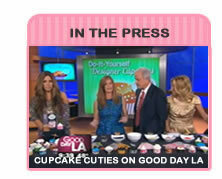 "Your Cupcake Cuties Rock!! I made your Sushi Roll cupcakes and put them on a dish with chop sticks and some green candies, everyone thought it was real sushi!! They were so easy to put together… I love that all I needed was store bought cupcakes!" Customer from L.A.Calif. "This is fantastic! Love this product and I am amazed by all the different designs. As you said, one has to see the product to really appreciate how cool and creative it is." Leslie from Utah.